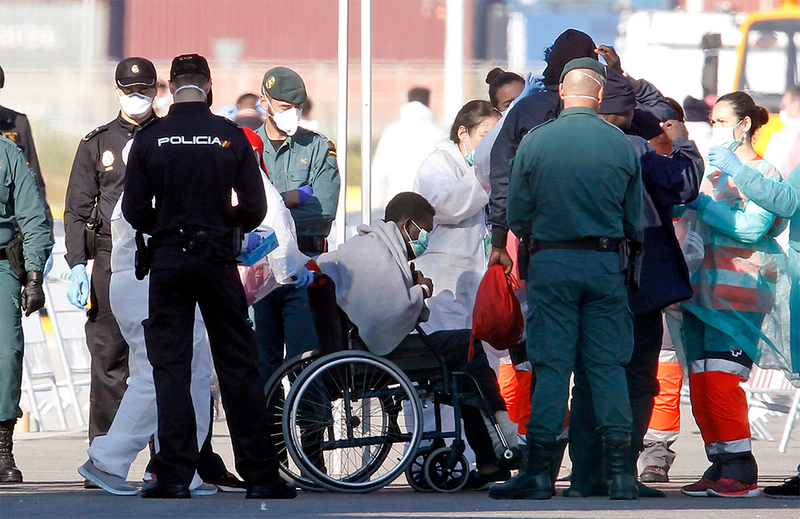 Geneva – IOM, the UN Migration Agency praises Spain’s action bringing over six hundred migrants stranded on Mediterranean rescue ships to safety. IOM believes that all EU Member States need to do more to support front-line states and welcomed the Spanish initiative to bring the migrants to safety. Mr. Swing emphasized Monday that the total numbers of irregular migrant arrivals have fallen dramatically from their peak during a 12-month period in 2015 and 2016, when over one million men, women and children crossed the Mediterranean bound for Greece, Italy and Spain. “This is a political crisis, not a migrant crisis,” Director general Swing added. “The best way forward is for the EU to reach a common response and shared governance of the migration flows," explained Eugenio Ambrosi, Director of IOM’s regional office for the EU. “Fair distribution of migrants via a coordinated, humane and shared EU response from all European countries - not just those of the Mediterranean - is the only solution which saves lives, upholds rights and preserves European unity,” he added. “Saving lives should always be our top concern. We must urgently find a means to help these rescued migrants and work for a comprehensive method of supporting migrants and States throughout Europe,” Director General Swing concluded.